Life is a work of art. Every new day is a blank canvas that can be painted however we want. Many of us are artists who create things to reflect and examine where we are in life. However, I started painting the same picture over and over again about a year ago because I got comfortable. My life’s canvas became more bland as I started losing a grip on my fiery creative spirit. The perfectionist in me got stronger and made it hard to accept ugly drafts that didn’t match with my ideal expectations. Every detail and decision was painstakingly edited and planned out. I was subconsciously holding back from being imaginative. Consequently, my creative spirit turned into a ghost of my self-image because I couldn’t let go of past artistic patterns. So how did I learn to resurrect my creative spirit? By losing myself in drawing. 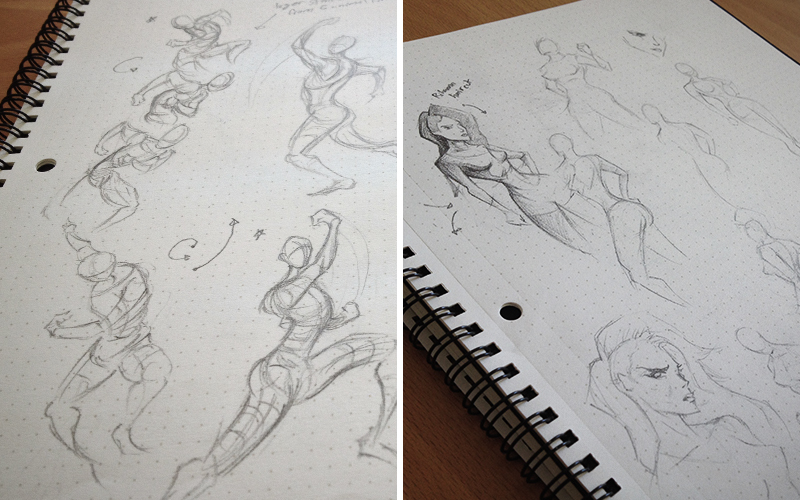 I needed to escape from my pixel-perfect mentality of making things and get back to the basics of sketching. 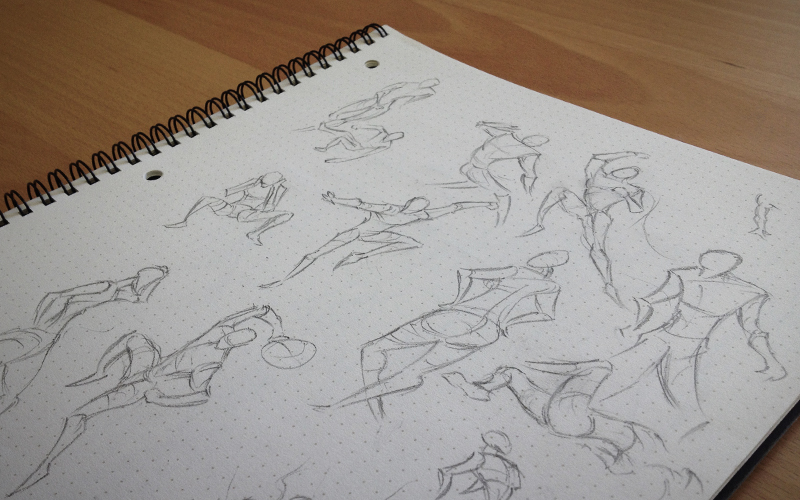 Therefore, I started a daily morning figure drawing routine. My main goal was to not spend more than 1-2 minutes on each drawing. At first, it was incredibly hard to do because drawing didn’t give me the same instant gratification that Adobe Illustrator did. Gradually, I learned to accept mistakes and stop second-guessing myself in order to draw with more conviction and fluidity. Focusing on the now instead of worrying about expectations made me feel more openly honest with myself. Through humility and honesty, I was able to create from the heart again. After a couple of weeks of warming up, I felt like I got the hang of drawing. Then I started to focus on a big side art project that reflected the big change in my way of creative thinking. 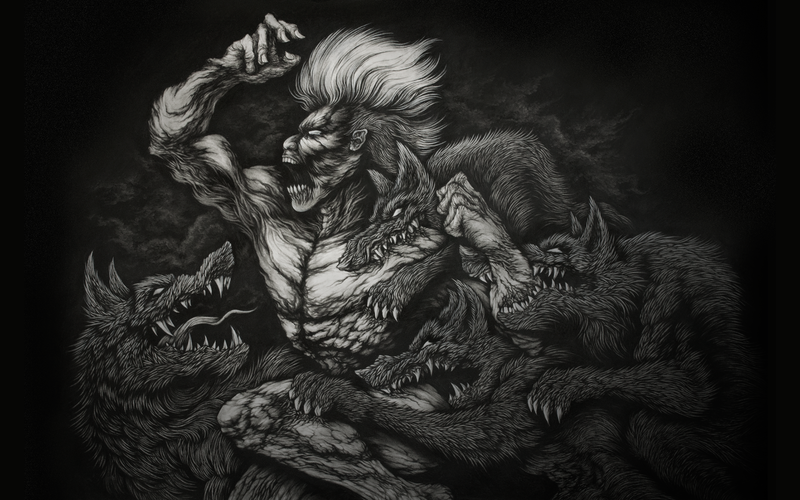 I started drawing a sketch that shows a human figure emerging from the darkness while being attacked by wolves. Why? Because I’ve always been fascinated by creatures with scary teeth when I was a kid and fell in love with renaissance art figure poses in art history class. Also, the drawing captures my internal struggle with escaping my personal demons. These demons represent the mental barriers (self-doubt, ideal expectations, and fear) that I needed to break down in order to have more honest expression and creativity. It would have been impossible to start this drawing if the concept did not come from an honest and very personal life experience. Every evening after the gym, I would go home and lock myself in my basement. My phone was upstairs and laptop was there only for music and human anatomy reference art. I wanted to be totally focused on my art and sacrifice nonsensical activities to get better. 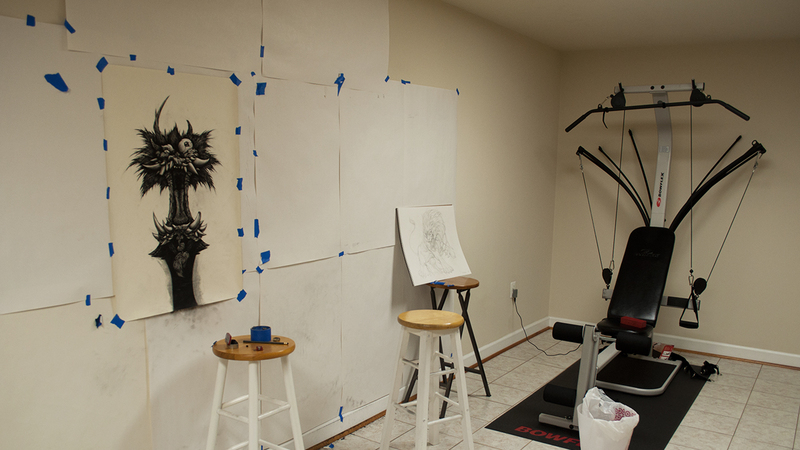 Also, I projected my sketches onto a 4 feet by 3 feet piece of paper that was taped to my wall. The projection guided me to draw loose outlines of my large-scale art piece. 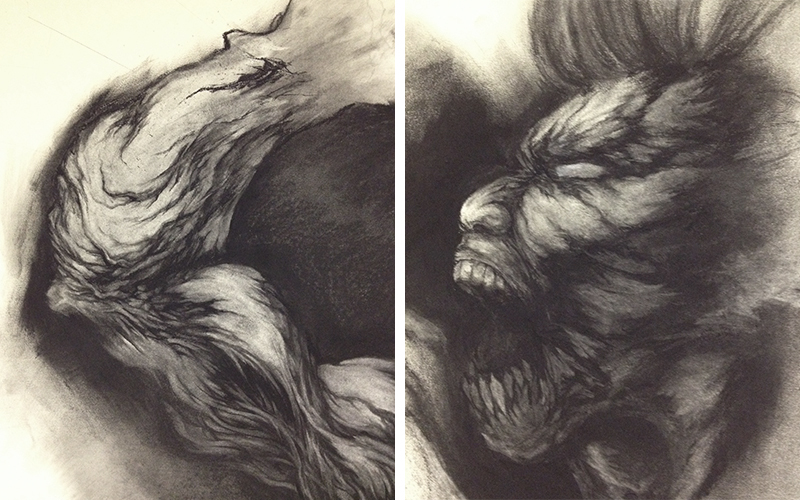 I chose to use charcoal for this large scale drawing project because of its versatility. It can produce sharp/refined lines as well as painterly-like washes. I viewed my drawing as a combination of different layers of images instead of one flat dimension. First, I drew a messy smudge of charcoal for the foundation. 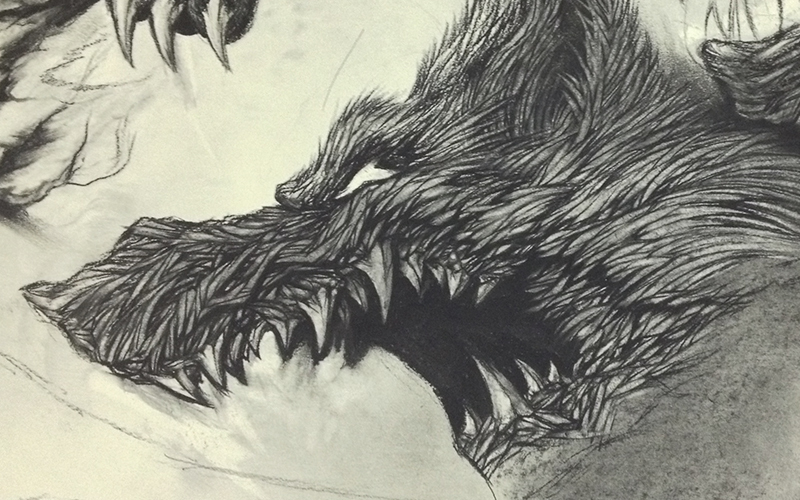 Then I added or removed different areas with more or less erasing and charcoal filling. I was constantly pushing and pulling in between the layers of images in my head without having a concrete picture in mind. The key was to keep the creative juices flowing and never grow stale. I cannot draw perfect muscular figures like Michelangelo. Therefore, I decided to add my own grotesque twist to classical renaissance art. I embraced my flaws by turning accidental lines into beauty marks. The incorrect body proportions and muscular definitions were wrongfully appealing to me. Sometimes I drew random marks without thinking and go with the flow afterwards. I wanted to prove that beautiful art can also spawn from scarred imperfections and controlled chaos. I was totally immersed in the process of drawing. Often I would be in the zone and draw nonstop without any conscious thought. Time became irrelevant and the only thing that mattered was the “here and now” because I was able to simply let go. I put off critical judgement until my 15 minute break which occurred every 2ish hours. 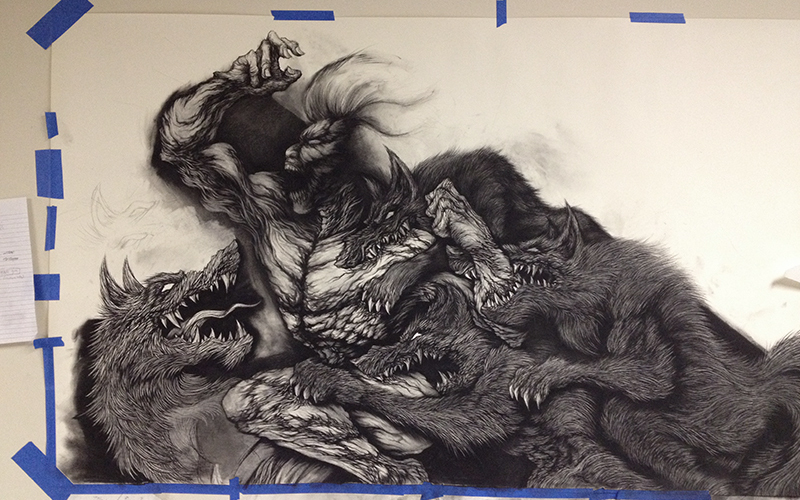 After two months of perseverance, the 4ft by 3ft large-scale drawing was finally finished. 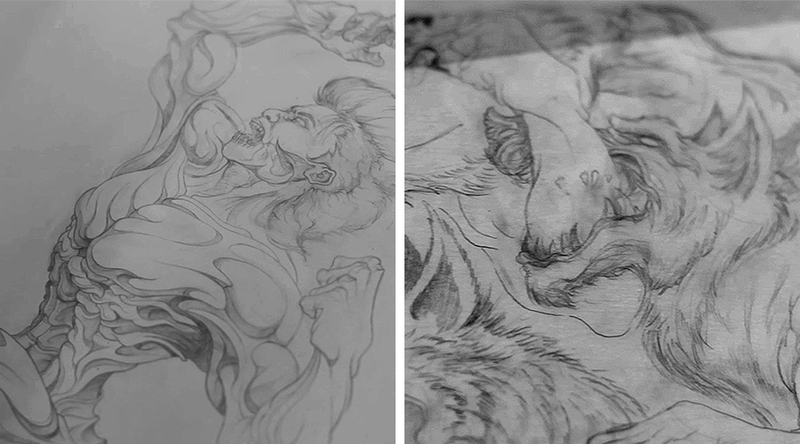 I feel so proud that I was able to create a badass piece that had a piece of my soul in it. It’s a drawing that I can look back on and reflect on the mental journey that I had to go through in order to reignite my creative spirit. 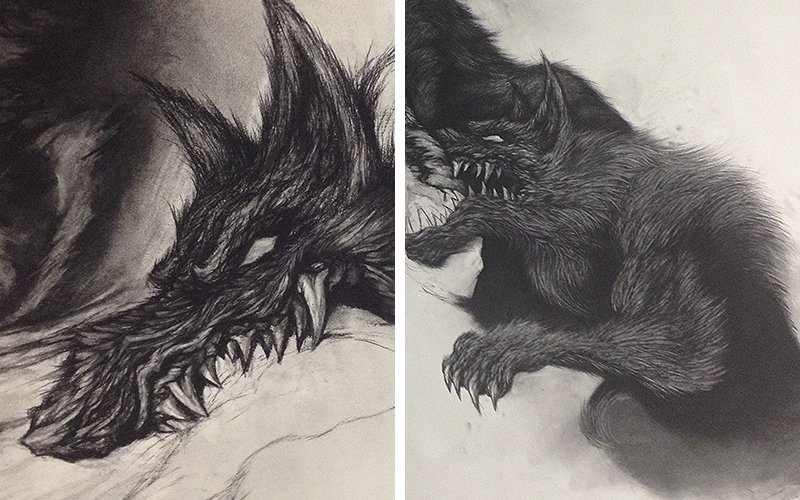 As a result of my drawing explorations, I was able to reach a new level of creativity. I am now so much more creative and motivated in all aspects of my job at Viget. I can work faster, take bigger risks, and come up with more varied iterations because I’m not pigeonholing early ideas or critically judging myself anymore. Finally, I was able to let go of my ego by accepting my flaws which made my creative decisions more deliberate and natural. I believe that creative people naturally yearn to make something beautiful. However, their fear of going through an ugly process stops them from that great pursuit. Therefore, we have to let go… and lose ourselves in the dark corners of our minds. The best way to face our fears is by just taking that first leap of faith. Afterwards, we can become inspired to create with a fresh perspective after being humbled by “the struggle.” The culmination of our happy accidents and the never-ending adventure of individuation makes our lives rich and beautiful. Shoutout to Kevan Lee for his Fast Company article, “How Creative Hobbies Make Us Better At Basically Everything.” It inspired me to write this blog.